The ultimate treat for the chocolate lover in your life, especially if that's you! 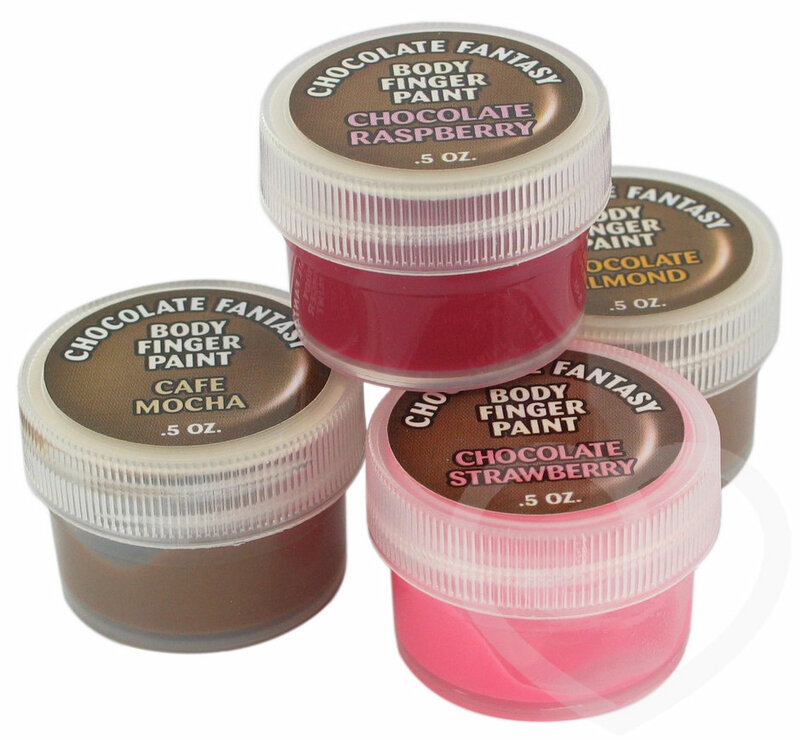 Four pert pots of chocolate-flavour body finger paint. So good you can taste the fun! Four fantastic chocolate flavours: Chocolate Raspberry, Chocolate Almond, Chocolate Strawberry and Cafe Mocha. Plus two free samples of chocolate flavour body topping lube!